Paul G. Harris (ed. ), Climate Change and American Foreign Policy (Macmillan, 2016). Climate change is the biggest challenge facing the world. The role played by the United States may determine our collective future. 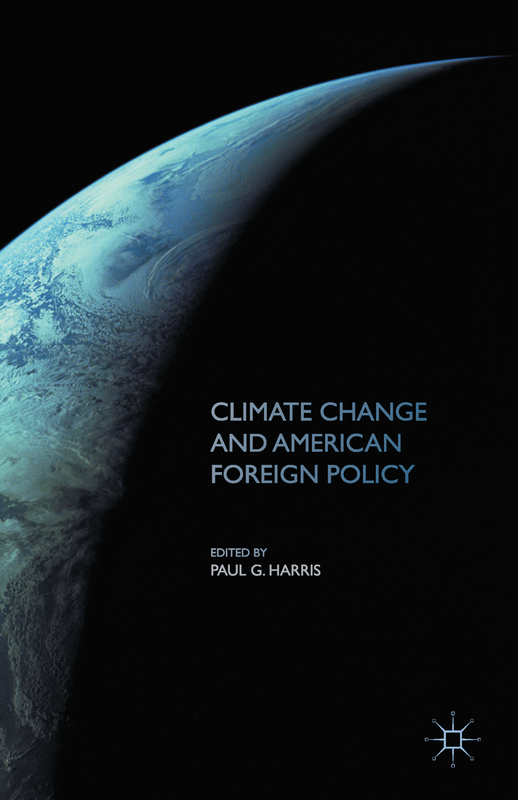 Now available in paperback, Climate Change and American Foreign Policy examines the actors, institutions, and ideas shaping US policies and actions. With a lengthy update by the editor, the book introduces the issue of climate change in the context of US foreign policy. It analyses policies and critically evaluates the US role. Chapters analyze a full range of topics, including the politics of climate science, economics and regulation, domestic politics and nongovernmental organizations, the presidency and Congress, diplomacy and international negotiations, environmental agreements and regimes, and questions of responsibility and justice. The book concludes by looking at how international norms have influenced US climate change policies. Climate Change and American Foreign Policy will be of interest to everyone concerned about climate change, global environmental politics, US foreign policy and international relations.